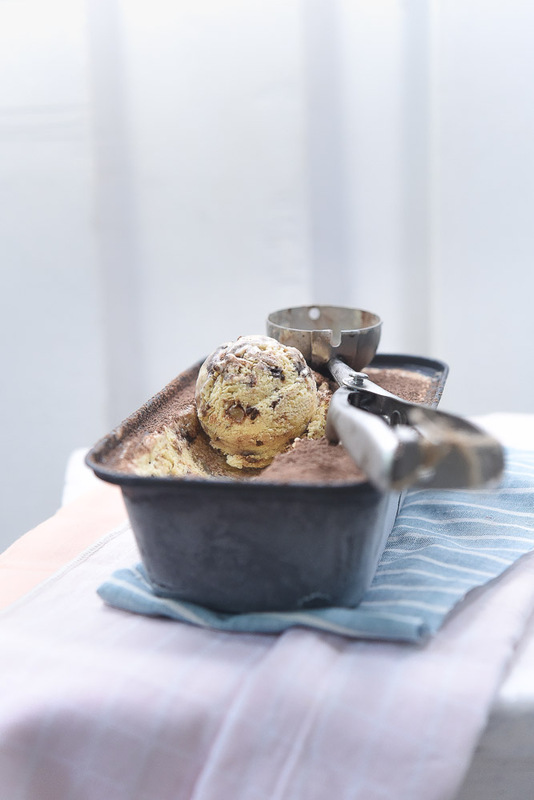 Homemade Tiramisu ice-cream recipe, which will require no churning machine. 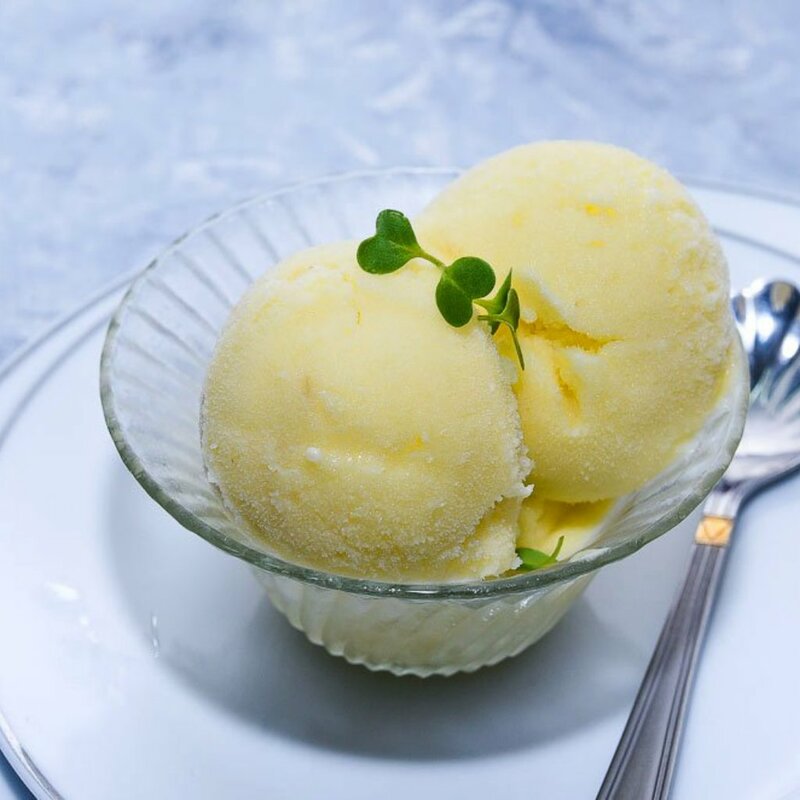 This is a creamy, rich, custard base, easy to make ice-cream and is made without eggs. 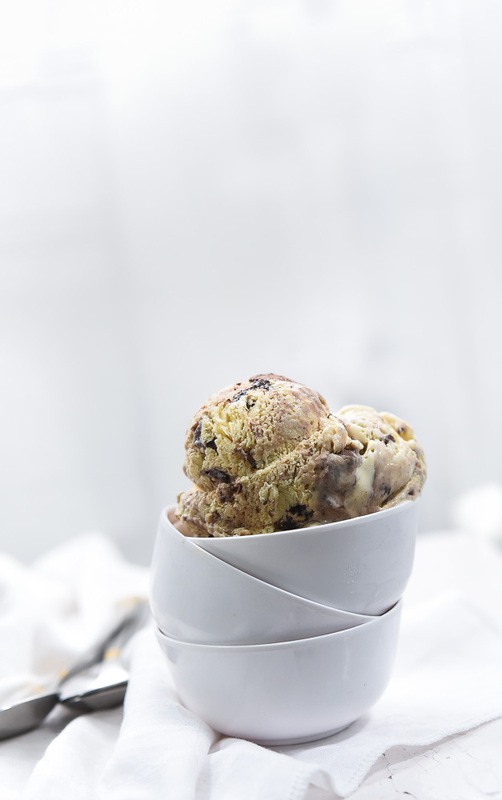 The ice-cream has exquisite play Tiramisu flavours and a soft creamy texture. There are additional chunks of chocolate ganache, which makes it special. It’s something to love. Tiramisu is one of the most popular desserts in the world. The name Tiramisu literally means “Pick me up” its a coffee-based Italian dessert. Which now have many version across the world. The classic tiramisu is a blend of bold flavours like cocoa, espresso, mascarpone cheese, wine and egg-based biscuits known as ladyfingers (Savoiardi). 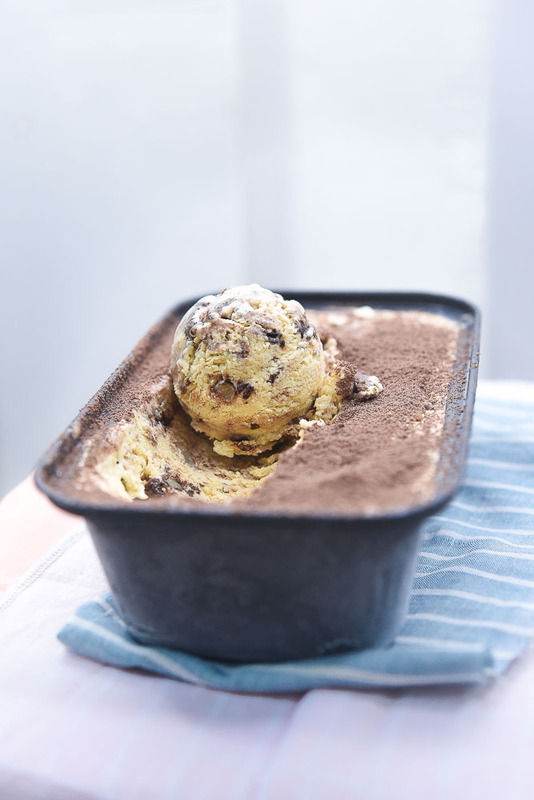 Just like the actual dessert, our homemade Tiramisu ice-cream has all the flavours and aroma of a classic Tiramisu. Today, I have twisted all the rules of a classic dessert and the rule of ice-cream making. It’s like another successful experiment in my kitchen. If you are wondering, how I got Tiramisu flavours in my ice-cream. Ossoro is the answer Ossoro Tiramisu Flavour, 30 ml . 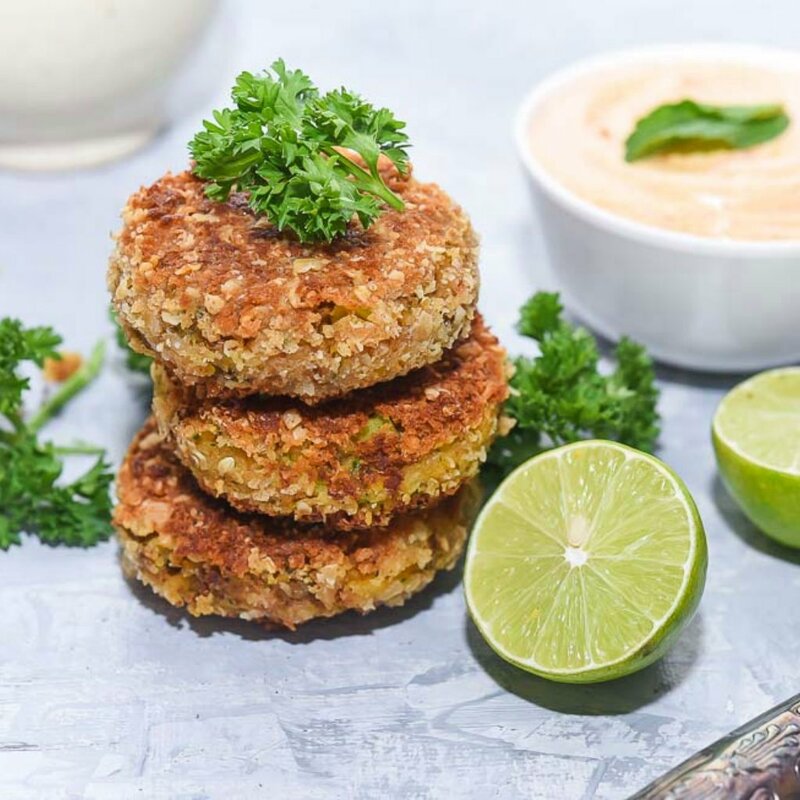 This is another interesting recipe using Ossoro essence. They are sure making the kitchen life easy. 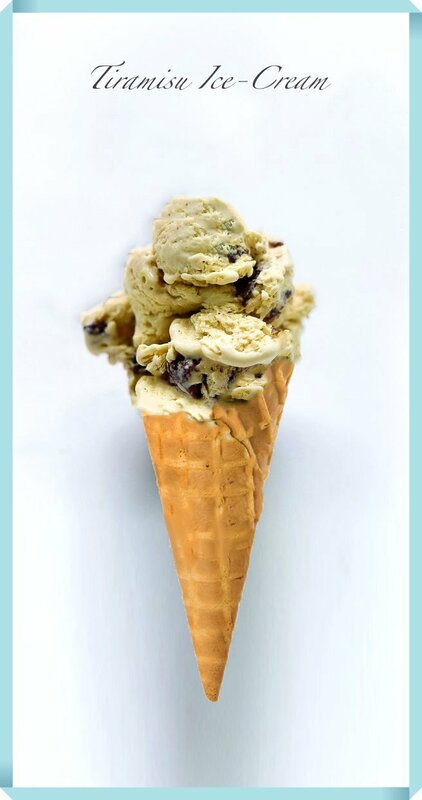 If you have tried MotherDairy Tiramisu Ice-cream? We are quite similar to that. The bottle has a beautiful blend of all those aromas, which go in the making of classic Tiramisu. Few drops made all easy and the ice-cream became all Tiramisueeee (if its a word, or not) without much effort. I love it, but you know, What? this bottle, you see in the above image broke, during the photoshoot. That’s the saddest part of this post. As you know, Ice-cream photography is a complicated task, one has to be very very quick when shooting ice-creams. The window of opportunity of a good shot is very narrow. It melts, super quick. In between all that hurry-up mode, the bottle broke, making me sad. So anyways the bottle broke, and my house was like an Italian Tiramisu castle. It was rather tempting aroma, my whole building could smell Italian desserts. Lol. Final report – Few drops can make anything Tiramisueee … A cake, cupcake, brownie, absolutely anything. 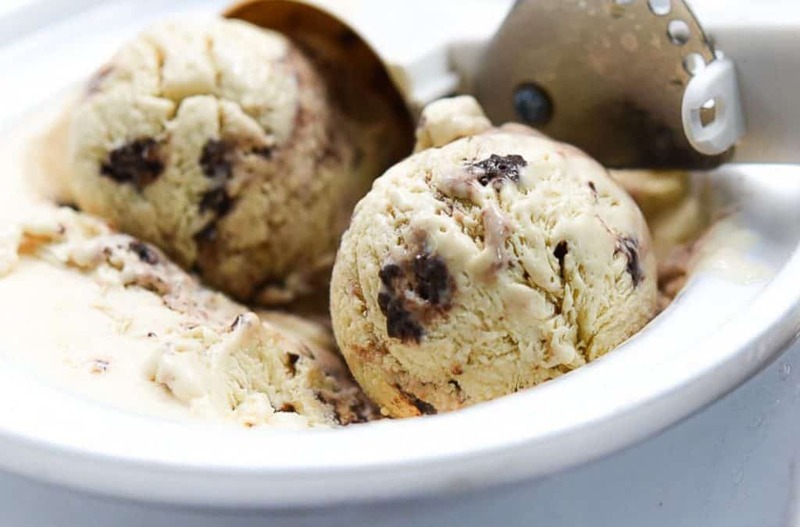 Let’s start with our eggless, no churn Tiramisu Ice-cream and before we start, I have some important points about the ingredients and recipe to share with you. 1. We will be cooking milk and custard powder together. Making a smooth custard. Make sure that you don’t get any lumps in the custard. To avoid the lumpy scenarios – Combine custard powder and 1/4 cup of the milk in a small cup first. Stir until smooth. Heat the remaining milk in a saucepan over medium-low heat, and as it starts to boil, make the flame low and add the custard mix milk. As you are adding the custard milk, keep a wire whisk in another hand and keep whisking. You will need to stir constantly until custard thickens. Cook till coating consistency. If in case you can’t get it right – Process the custard through a fine mesh strainer, to remove any lumps, back into a clean pot and continue the cooking. 2. With the help of a spoon or fork keep the prepared custard moving from time to time till it cools completely because as it cools down, custard normally gets the skin on the top. Once the custard is ready and cool, we add Ossoro flavour. 3. Sugar – The cream I have used today, is sweetened. Its a brand called Tropolite, which is a non-dairy whipping cream. It is available at Aarif if you are in Mumbai. If you are not … you will have to look for heavy cream in your area. Some heavy creams do need sugar for whipping. So you add sugar accordingly. Amul will not work, and If you have some local dairy near you, look there. 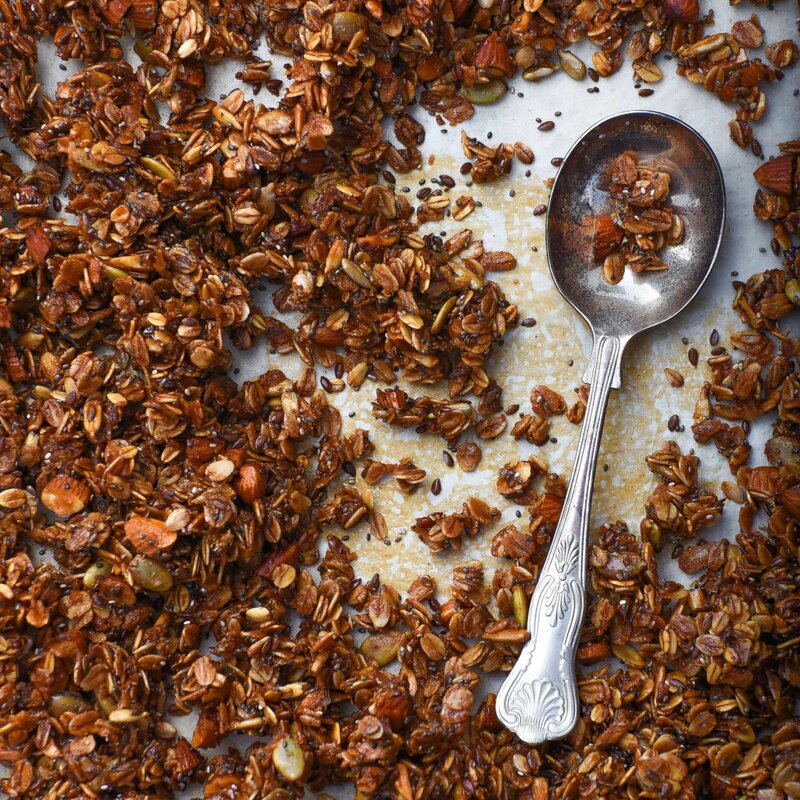 You should be looking for something that can be whipped up, till stiff peaks, with a high fat content. 4 . You will need an electric hand-held beater with the whisk attachment to whip up the cream fully. Or use your arm muscle power. I prefer a machine. 5 . 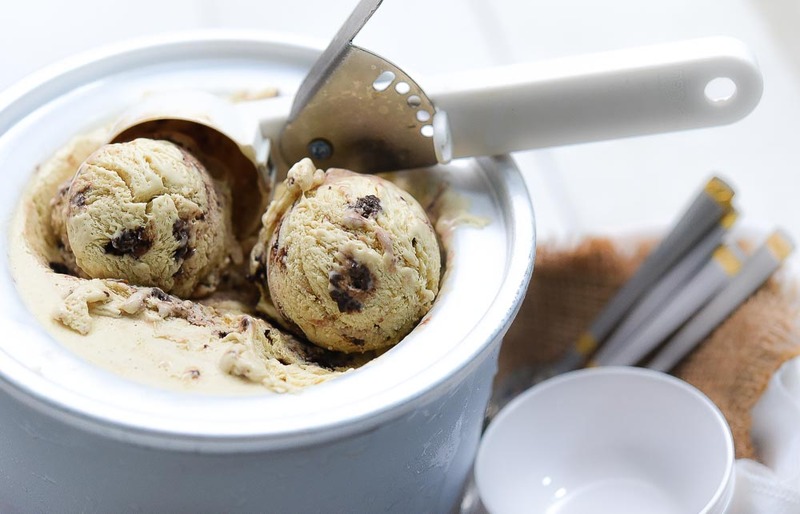 One last thing – keep the ice cream in a container with a lid for freezing. Note: I have also added ganache pieces. I don’t know, but why no one have thought about it yet.. any ways. My idea is to add chocolate ganache. Oh! Its like a super fudgy dense chocolate pieces. Which melts in the mouth. Try it, it mingles well with tiramisu. 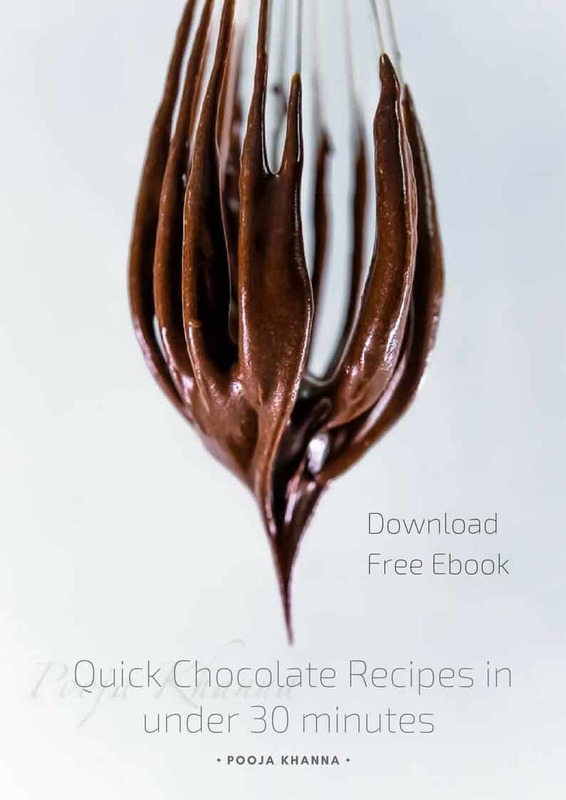 Ganache recipe – Place the 1/2 cup of chocolate chips or chopped chocolate and 1/4th cup of cream in a microwave safe bowl. Microwave on high for 30 seconds. Remove and stir. Microwave for another 30 seconds and stir until the mixture is fully melted and smooth. Let cool. Chill it. When the ice cream is done it should be thick and creamy. Pour half of the ice cream into a container. Chop ganache into uneven pieces/ chucks. Add some ganache pieces on the top. Add another layer of the ice cream into the pan and again, some ganache. Cover and freeze. As you scoop it out, its beautiful and awesomely delicious. Dissolve the custard powder in 1/4 cup of milk. Keep aside. Place the rest of the milk in a heavy bottomed pan and bring it to a boil. Add the dissolved custard and simmer for another 5 minutes while stirring continuously. Add in sugar and cook till it is of a coating consistency. Remove from the fire and allow it to cool completely. Make sure you don’t get any skin formation over the custard during the cooling process. 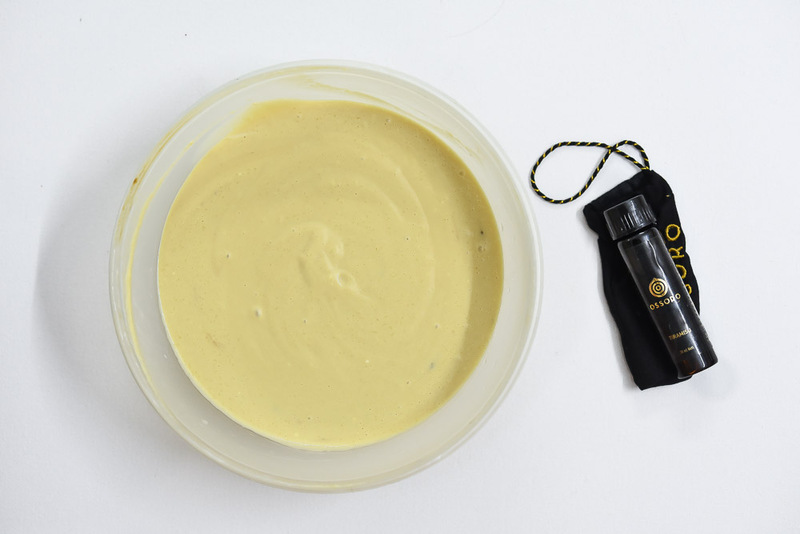 Add Ossoro Tiramisu essence to the cool prepared custard. Fold in the whipped cream and mix both of them together, using a hand whisk. When the ice cream is finished it should be thick and creamy. Pour half of the ice cream into a container. Add some ganache pieces on the top. Add another layer of the ice cream into the chilling pan and again, some ganache. Cover and freeze. It takes almost 8-9 hours to freeze properly, or freeze it over-night. Scoop Navisha Sieko Aluminum Ice Cream Scoop, 17 x 4.5 x 5 Cm, Silver out and enjoy the homemade Tiramisu ice-cream.